Some lawyers feel that legal practice will always require paper. The practice of law is rooted in basic analogue habits which has caused many to believe that documents need to be on paper and physically signed. In general, the forms which one day may have to be presented to the courts, but whose digital image can easily be changed, will have to be saved in their original form in an old fashioned filing cabinet. However, virtually everything else can be stored in digital records saving space and allowing for quick searches, updating, and wide distribution over your corporate network. The Australian Legal Practice Management Association (ALPMA) surveyed legal practice professionals and found that streamlining the processing of paperwork is judged as the most appealing aspect of office automation. Legal professionals are time-poor and need as much time-saving as they can get. Nearly a third of the legal professionals (32 percent) wanted paperless solutions that could work offline as well as online. They want to be able to work in remote locations and still take advantage of the digital time saving. One of the biggest frustrations with handling paperwork which is made a lot easier in automated systems is keeping track of revisions to documents and knowing which is the latest version. Close to half of legal professionals (44 percent) expressed an environmental concern about the waste of paper. In order to set up a minimal paper office, you will need a few things. You can start slowly, gradually replacing paper storage. A heavy duty paper scanner. Online storage and backup e.g. th ecloud. Many law offices are organised with meticulous filing systems. Rooms and rooms are dedicated to piles of paper and over-filled file cabinets. Storing documents in digital form in the cloud can save a lot of office space. This method is more secure than paper files and allows for easier access. Security is increased by the use of encryption and the requirement to use passwords for access. Paper files can often be penetrated by unauthorised people. Important files stored off-site in digital format are no longer subject to burglary, prying eyes, or natural disasters. Documents stored in network systems can be immediately shared such as with LawMaster's referral function within its electronic cabinets. Staff can add to files or correct and change them as they collaborate. The latest versions of documents are instantly recognisable. Everything is time stamped, but old versions remain in the file for reference. In the paperless office, there is no longer a need for photocopiers to share documents. Staff can share documents and comments electronically through email. Clients can instantly retrieve their documents and notes about cases through client portal systems through which clients can have access to appropriate parts of the network. Cloud storage makes the whole digital system available anywhere in the world through any device, computer, laptop, tablet, or phone with access to the internet. Inclusive paperless systems include billing and scheduling systems that handle estimation, time accounting, inventory, invoicing, and accounting. Documents will not be printed so your office will save on expensive office stationary. LawMaster's integration with Infotrack's SignIt technology means that you can sign documents securely online. This removes the need to print documents and hire couriers to deliver these to clients to be signed. This will not only reduce your environmental footprint, but will reduce your daily costs. A Paperlite or paper free office allows for smoother daily running of your legal practice. 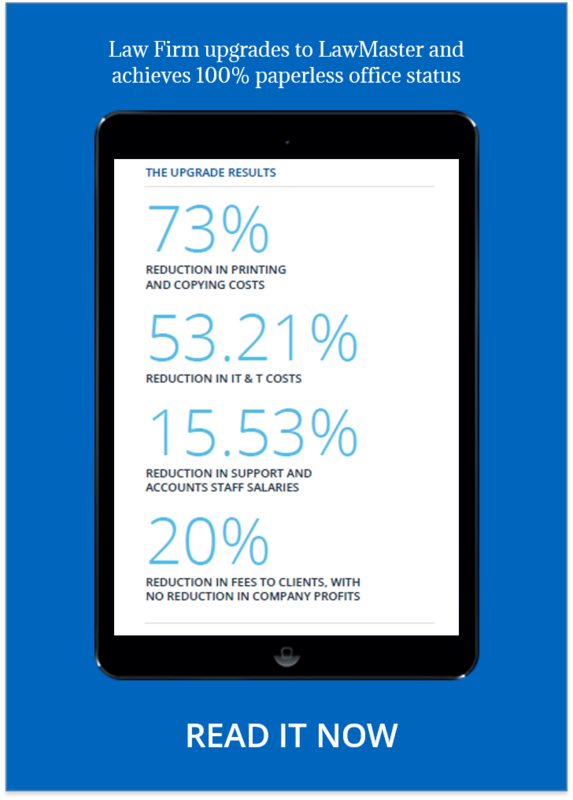 It can help to reduce your costs and allow for greater visibility between departments. Contact us today to see how LawMaster's Paperlite solutions can help you to eventually go paperless and improve your firms efficiency by at least 30%. 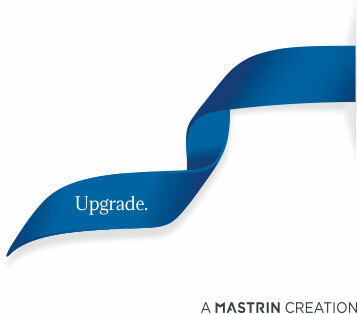 Talk to us about how LawMaster can upgrade the performance of your Law Practice.